The affluent suburb of Irvine CA is known as a safe and pleasant place to live, having been recognized by the FBI for its low violent crime rate and by CNNMoney.com and Businessweek as one of the best places to live in the country. There are plenty of good jobs to be had in Irvine CA, due to the presence of many universities as well as companies in the technology and semiconductor fields. When residents of Irvine CA aren’t working they may head to a local attraction such as the Orange County Great Park, where visitors can rise 500 feet in a hot air balloon for a panoramic view of the county, and maybe even spot a restaurant to head to for a bite afterwards. 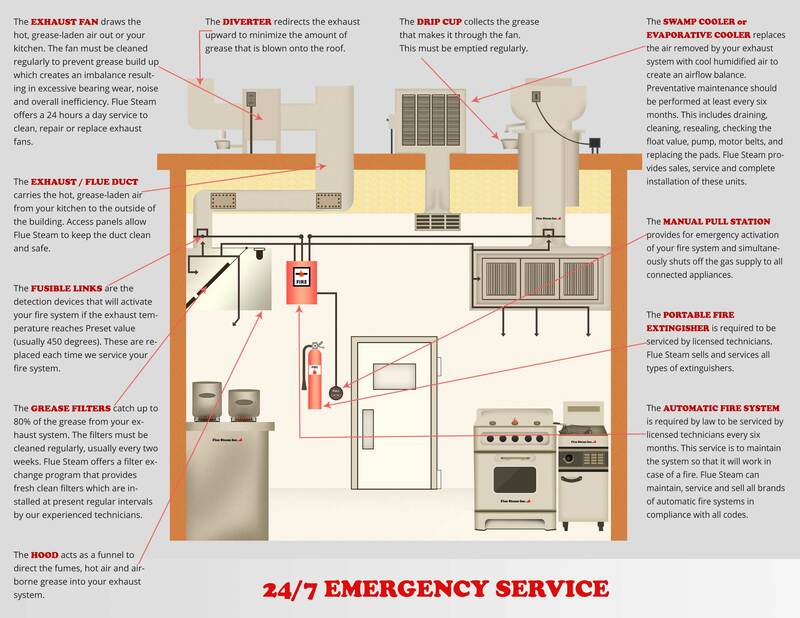 If you own or operate a restaurant in Irvine CA, you can trust Flue Steam with all your kitchen air control and fire prevention needs. We can provide kitchen exhaust system cleaning as well as swamp cooler service.